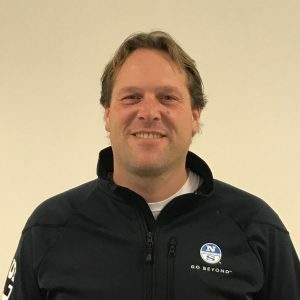 Joost is a big fan of one design keelboat classes, especially the Pampus, Dragon and Star class in which he competes in most national and international events. North Sails approached Joost in the spring of 2009 to look after both sales and service for the Dutch One Design market. Joost jumped right in and never looked back. Joost is a multiple Dutch and international champion in keelboat classes like the Regenboog, Pampus, Dragon and Star. Winning the 2015 Dragon Gold Cup he sees as his team’s biggest achievement. He loves the interaction with the international North Sails team, having access to the ‘huge’ international network of North Sails team members to get and distribute class specific knowledge to his customers. ‘Having such a big team with all their individual experience is what I believe one of North Sails’s biggest strengths’.